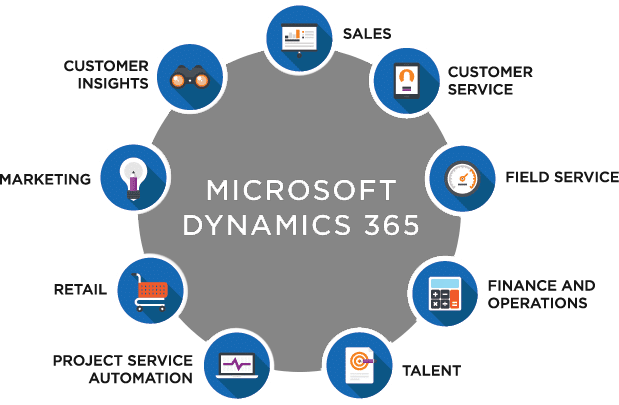 Microsoft Dynamics 365 is a platform for mutually connected business applications covering all important business processes and needs of the company. The annex “365” in its title is not accidental and Microsoft clearly implies its connection with the product line Office 365, which Microsoft closely cooperates with. Thus, our customers get a tool for comprehensive management of sales, marketing, customer service and other key areas. Microsoft Dynamics 365 is primarily a cloud solution functionally covering areas of original CRM and ERP applications. The main aim of the integration of all business applications into the unified platform is to provide companies with a possibility to manage all key areas comprehensively from one system. In which areas can we help you grow? Dynamics 365 brings new, much more flexible licensing terms. Thus, customers can arrange the solution accurately to their needs and optimize license and operational costs. How many users will work with the solution? Do we need on-premise version or we can use advantages of the cloud version? Do we need Customer Service, Project Service or Field Service functionalities as well? What other additions or adjustments are expected? Our company, as a Microsoft long-term and experienced partner, is ready to advise you on the right selection, preparation as well as overall implementation and customization of your Dynamics 365 solution.